Casey Anne Cordes received her B.A. from Rutgers University and her J.D. from Seton Hall University School of Law. Following law school, she served a one-year judicial clerkship with the Honorable Elijah L. Miller, Jr., J.S.C. in the Family Part of the Superior Court of New Jersey (Bergen County). 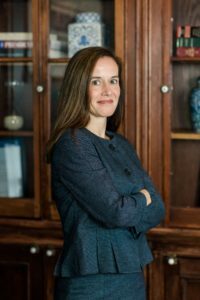 After completing her clerkship, she joined the law firm of Piro Zinna Cifelli Paris & Genitempo in Nutley, where her practice included general civil litigation, real estate, family law and representation of public entities. Ms. Cordes joined Fronzuto Law Group in 2006. She specializes in representation of public entities and general civil litigation. She is a member of the bar in the State of New Jersey and the United States District Court for the District of New Jersey.